Welcome to the new site! After 6 years of hosting the Agritourism Ottawa myself, I’ve decided to move it over to WordPress.com. The look and feel is a bit different, but the content is the same. I haven’t written any new articles since 2012, but I occasionally update older entries when I hear that a business has closed. This industry changes constantly, so please always check with the agritourism destination before heading out. 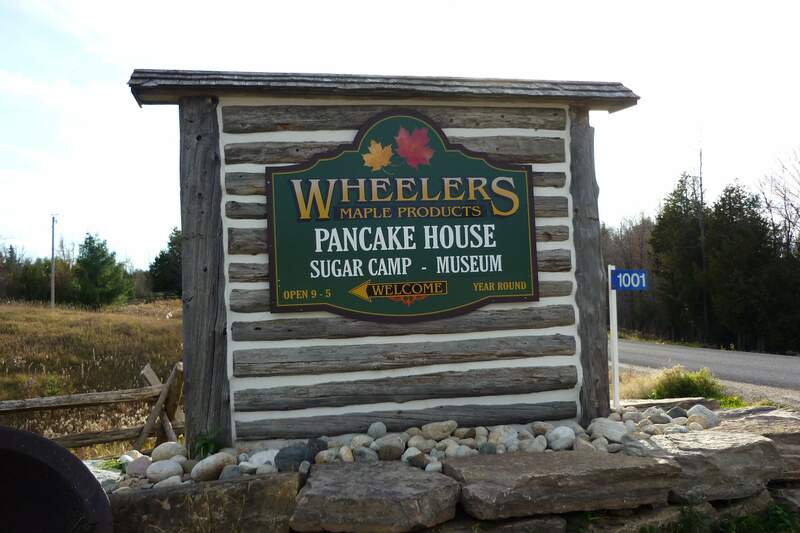 If the mild winter weather is filling your head with thoughts of spring and the maple syrup season, you may want to get a head start by visiting Wheeler’s Maple Sugar Camp and Pancake House. Located in the beautiful Lanark Highlands (about 90 minutes from downtown Ottawa), Wheeler’s is a year-round destination providing outstanding recreational and educational facilities. With groomed trails, a maple museum, farm animals, and a beautiful log restaurant, visitors can easily spend a half-day enjoying the sugar camp, even off-season. I’ve been to Wheeler’s twice: once in the fall of 2010, and again this February. Both visits were outside the maple syrup season, so I was able to enjoy all the activities without the crowds. Of course, I didn’t actually get to see the maple syrup being made, which is certainly part of the fun of going to a sugar camp, but there were more than enough other activities to keep me entertained. In 2010, I visited a number of Christmas tree farms in the Ottawa region, and wrote articles about each of them. This year, I hope to visit a few more. In the meantime, here is a list of places where you can cut your own Christmas tree. Note: Click on the links to see my original article for each tree farm. Ian’s Evergreen Plantation: This is one of the largest Christmas tree farms in the region. In addition to Christmas trees, they also have a herd of (real) reindeer, and they have some beautiful walking trails. Located in Ashton. Cedar Hill Berry Farm: This Christmas tree farm is located on a very picturesque berry farm in Pakenham. They offer horse-drawn wagon and sleigh rides throughout the plantation; the best part is riding through a covered bridge over a small river. Be sure to buy some jam while you’re at the store – it’s the best in Ottawa (in my opinion)! 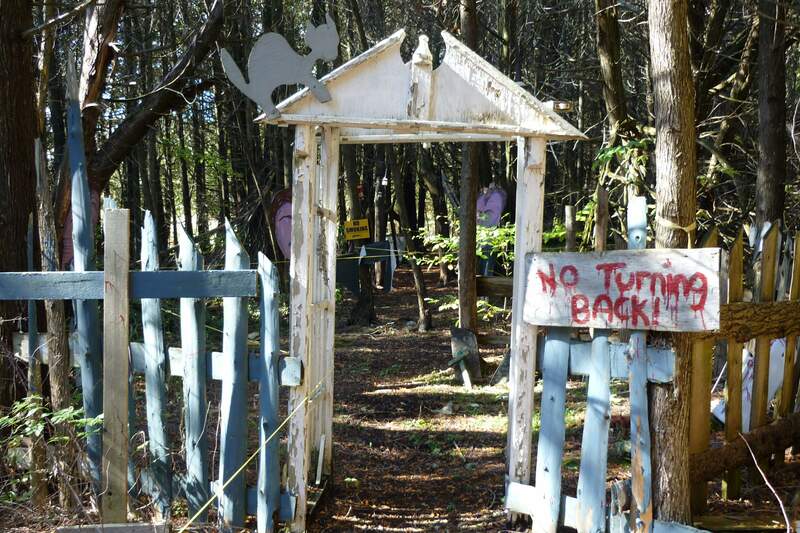 This agritourism destination is now closed. The owners have sold the farm. In 2010, the apple picking season ended earlier than usual. As a result, I didn’t get a chance to visit one of the orchards that I was most interested in: Pine Hill Orchards. So this year, they were the first on my list to visit (good thing, because I’ve had no opportunity to go apple picking since then, other than picking apples from a really old tree in the farmer’s field behind our property). 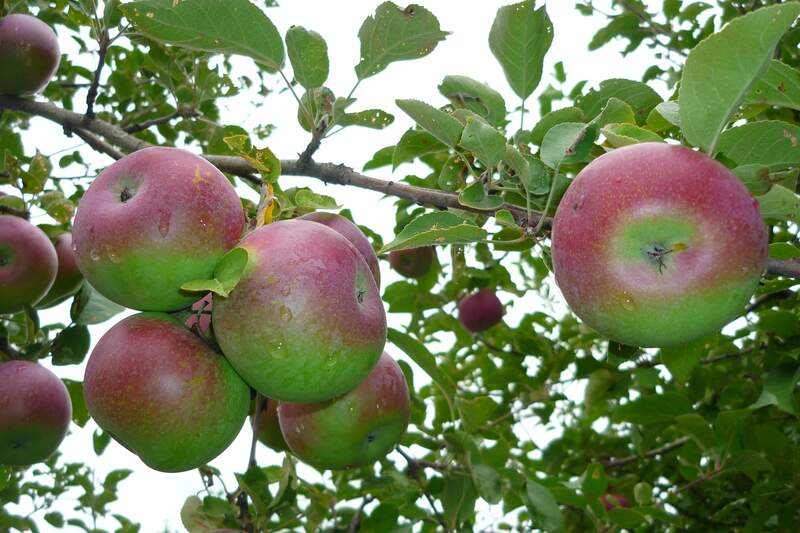 Pine Hill Orchards (or Vergers des Pins in French) is located east of Ottawa in Bourget, which is south of Rockland. The orchard is next to the LaRose Forest, a 26,000 acre publicly-owned forest with excellent recreational and nature-watching opportunities. Just over a week ago, I attended a Locavore Tours outing to Alpenblick Farm in Ashton. 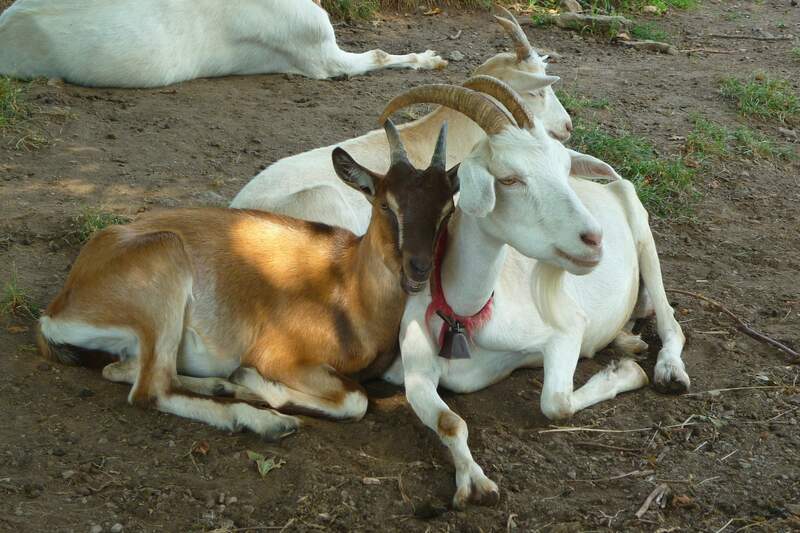 We spent the day petting the very tame farm animals (including the beautiful goats in the picture to the left), learning about organic farming, and sampling organic milk, hamburgers, and swiss cheese. What a fun day! To read my article about the tour, please visit to the Local Tourist Ottawa blog (click here). Then sign up for the next Locavore Tour to Alpenblick Farm, taking place on Saturday, September 17th. The cost is only $20, and that includes transportation from the Eagleson Park & Ride, and an organic lunch at the farm!